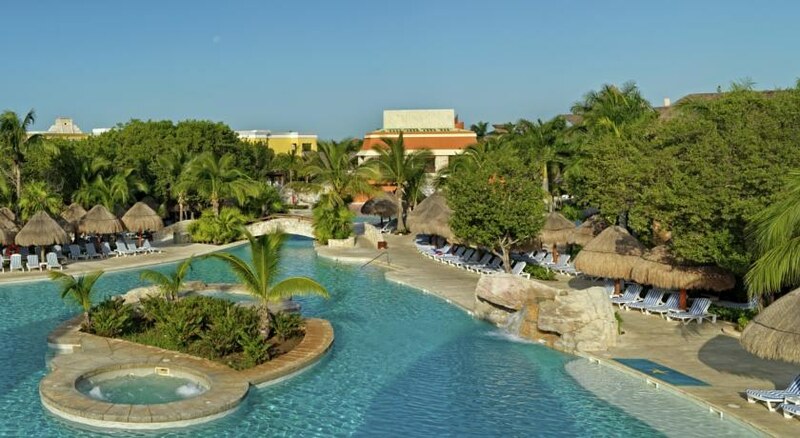 Nestled right in front of the beach between Cancun and Playa del Carmen on the Riviera Maya, the Iberostar Paraiso Maya hotel is an all inclusive property suitable for families and couples alike. This 5-star establishment features unique Mayan art décor, plus a replica of the famous pyramid of Chichen Itza as its lobby bar – a grand entrance. Facilities at the 5-star hotel include an outdoor pool, exciting sports and leisure activities, a fitness centre and gym, Kids' Club, sumptuous spa, yoga classes, a relaxing terrace area, golfing amenities, PADI Certified Scuba Centre and access to nearby gold and premium gold hotels - so guests should stay entertained from morning until night. 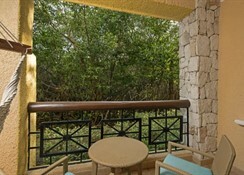 The Iberostar Paraiso Maya boasts 434 rooms divided into six categories to suit every type of guest, complete with modern amenities and garden views. Find a mixture of a la carte and buffet restaurants at the hotel, offering flavours of France, Japan, Mexican and other International cuisines. 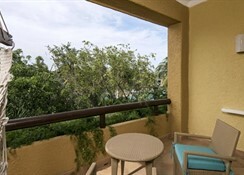 The hotel sits in Playa Paraiso, between Playa del Carmen and Cancun, on the iconic Riviera Maya. The hotel's centralised location makes it a hot tourist spot, with plenty of attractions, ancient sites and entertainment in the surrounding area – plus a line-up of restaurants and bars. 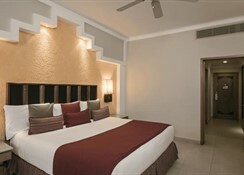 The Iberostar Paraiso del Maya is about 16km from the enchanting Croco Cun Zoo, a great shout if you've got the kids in tow. The Cancun International Airport is 46km from the hotel. 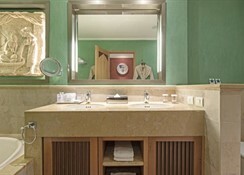 There are 434 beautifully furnished rooms and suites. They are simple, comfortable and inviting, without being too overwhelming. The elegance of the hotel matches perfectly with the classic furniture that grace the rooms. 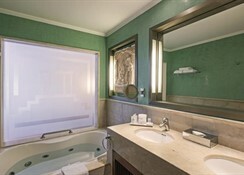 The guestrooms are divided into Junior Suite, Pool View Junior Suite, Superior Junior Suite, Family Junior Suite, Family Superior Junior Suite, Presidential Junior Suite and Presidential Suite. The rooms come with king-sized and queen-sized beds, en-suite bathrooms, kitchenettes, air conditioning, mini-bar and bathroom amenities. 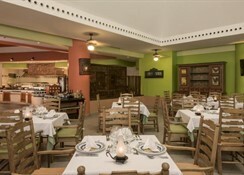 The Iberostar Paraiso Maya Hotel brings together the best of seafood, gourmet cuisine and top-shelf spirits. There are five a la carte restaurants and one buffet restaurant available at the resort where guests can unwind, wine and dine. Choose from La Marina (seafood), El Tapatio (Mexican), La Geisha (Japanese), L’Etoile y Museo (French) and El Rancho (steak). The bars include Las Olas Bar, Starcafé, Las Rocas Bar, Kukulkan, Coco Buffet, El Mirador, Cigar Bar, Galaxy Discotheque and Corner Sports Bar. The hotel has a great line-up of facilities on offer, including a wave pool, a fabulous spa, an artificial river and even an award-wining golf club. Pamper your senses with a relaxing message and a beauty treatment followed by a couple of laps in the swimming pool. Finish off the morning with a round at the Iberostar Playa Paraiso Golf Club. The hotel's beachfront location is great for those who wish to laze on the soft white sands and dip in the tropical sea, plus there's an array of watersports to get involved in if the mood takes you. Kids too can have a great time at the kids’ pool, water park, teens club, mini-disco and kids’ club. Theatre shows and a nightclub take care of your evening entertainment.